A deposit of £100 is required to secure your weekly booking. 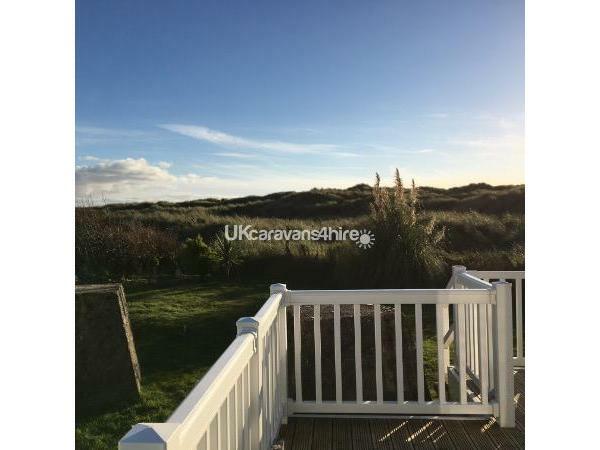 The balance is payable 6 weeks before your arrival, together with a refundable breakage bond of £150 (returnable within 7 days of leaving as long as caravan is tidy and key returned) If your booking is less than 6 weeks before arrival, full payment is required at time of booking. 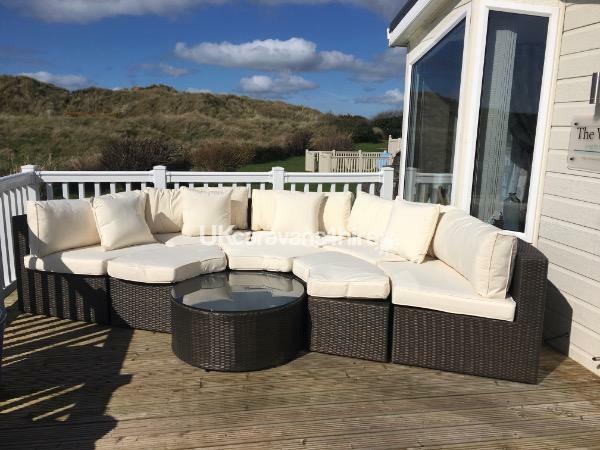 This is a truly luxurious holiday home which is situated on the best area of the park, 100 metres from the beach, overlooking the sand dunes. 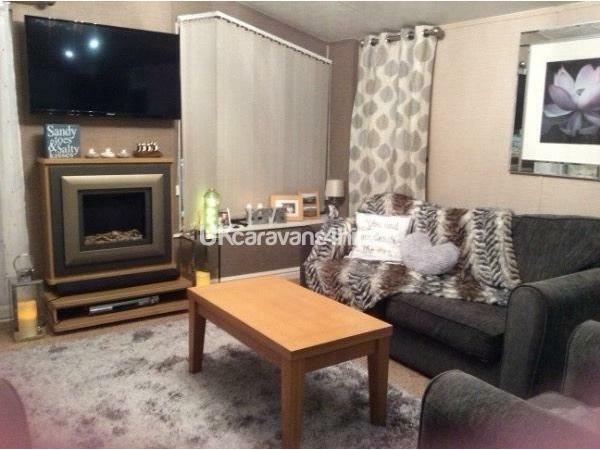 A truly luxurious 2 bedroom fully furnished holiday home The Willerby Vision is modern, spacious and well equipped. 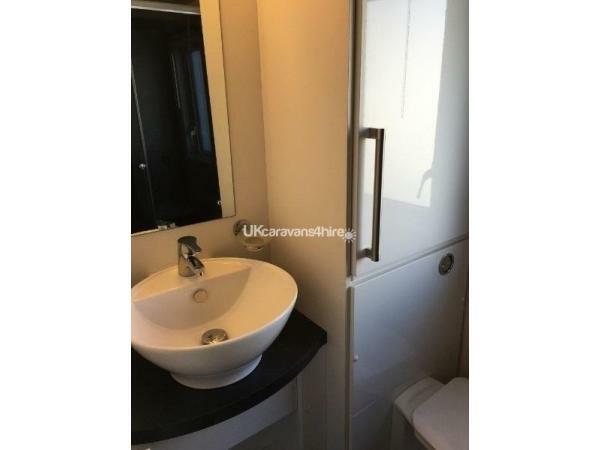 It boasts a gas combi central heating system, incorporating radiators with independent thermostatic temperature controls, double glazing and energy efficient lighting. 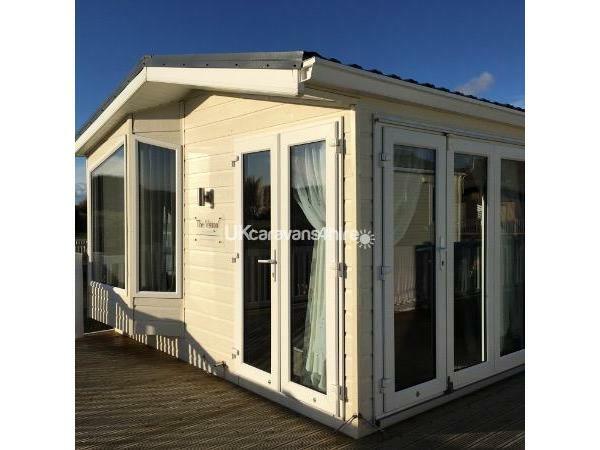 The Vision is regarded as one of the finest Holiday Homes built by Willerby with quality, style and a great layout. They are insulated to the same standards as a fully insulated home. 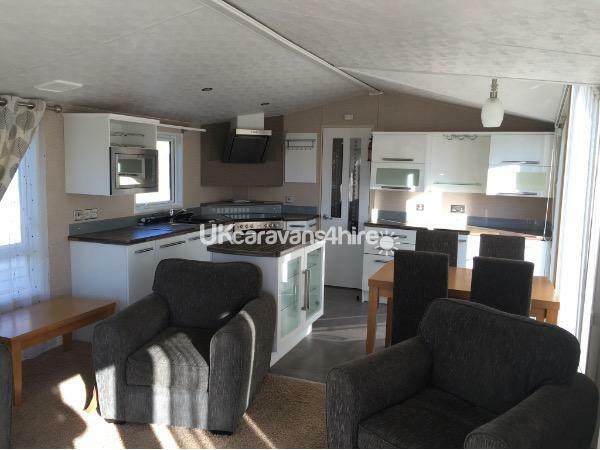 A fully fitted, high specification modern designer kitchen (integrated dishwasher and microwave), open plan design with central island. This home is in pristine condition both inside and out. 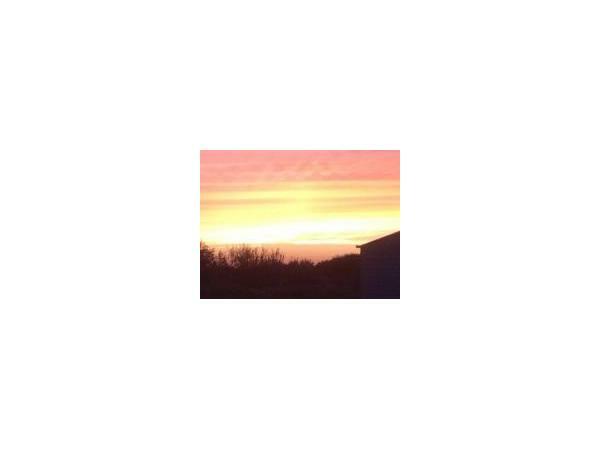 It is situated within a few minutes’ walk to the park amenities with all it has to offer and next to the beach. 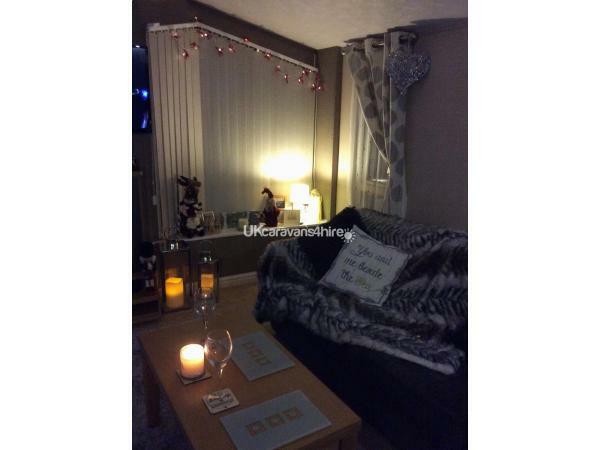 The Lounge has a freestanding sofa bed and arm chair, flame effect electric fire with remote control, coffee table. Outlook French doors and bi-folding doors which open to the side. The kitchen is a contemporary style with integrated appliances which include integrated side by side under counter fridge and freezer, integrated microwave oven/grill, dual oven/grill 4 burner gas hob. The Dining Area has a freestanding dining table, high backed upholstered dining chairs. Main Bedroom boast a king size bed with under storage, tv, extensive built-in walk-in wardrobe, en-suite bathroom with a large corner bath, a thermostatically controlled overhead shower, toilet and wash hand basin. 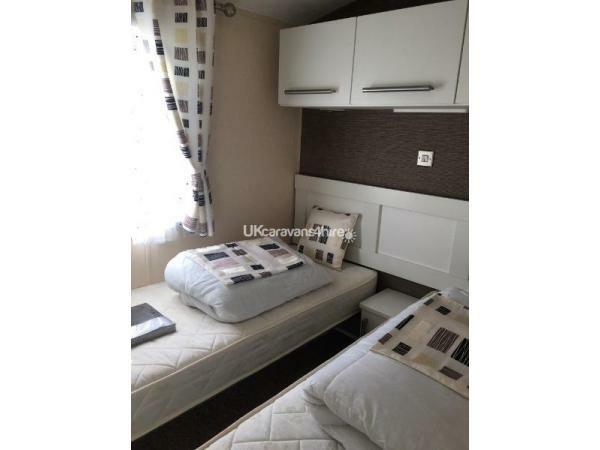 Twin Bedroom with twin beds excellent storage space, large wardrobe. 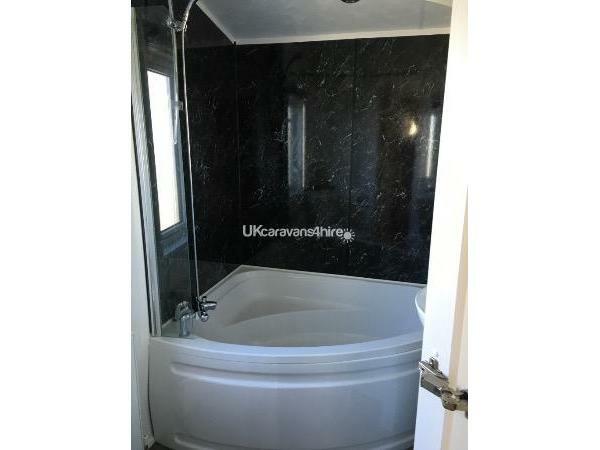 Family Shower Room large double walk in shower, toilet and hand basin. 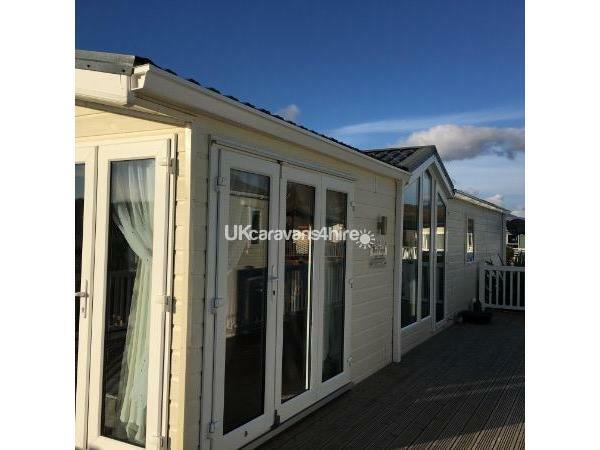 Externally there is extensive decking to front, rear and side of the home with integrated lighting, BBQ and outside furniture. This is our family holiday home and is not regularly let out. A £150 security/key deposit is required, this is refunded within 7 days of the key being returned and the caravan inspected. We do ask that the caravan is left in the same condition which it is found and that no one smokes inside. 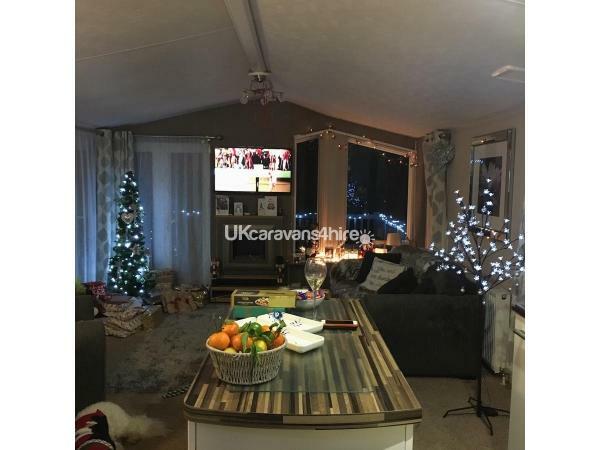 The complex has a large entertainment room where you can watch cabarets and there is also the Mash and Barrel bar where you can have meals, watch sport or just enjoy a drink. You will require passes to enter the complex which are not included in the price, but you can pre-book with the park or purchase on arrival.